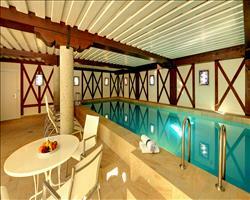 This hotel has a prime location only 150m from the slopes and lifts. Occupying a prominent position in the heart of the pedestrianised centre of St. Anton, the popular Sporthotel is only a short walk from the Galzig lift. This lively hotel has a renowned Steak House restaurant as well as a popular café and guests can enjoy live piano music at the bar in the evenings. Christmas gala dinner and New Year gala dinner with live music included. 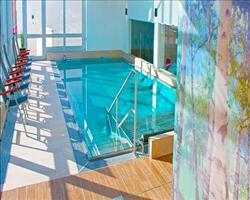 We update Sporthotel St. Anton's details often, but facilities do change. e.g. some extras listed by the supplier as "free" or included might only be for the first time you use them, or for one time per party, then charged for further use. If any specific feature is essential to your holiday, make sure you ask us to confirm the details of it before you book your holiday. St Anton lift pass price last reported as €228 (adult 6 day). Ask for a quote when booking Sporthotel St. Anton. Hotel Post St Anton Austria, Dover Ferry 14th December. 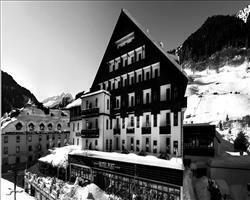 Hotel Alte Post St Anton Austria, Dover Ferry 14th December. 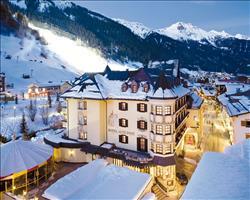 Hotel Arlberg St Anton Austria, Dover Ferry 14th December. Hotel Nassereinerhof St Anton Austria, Dover Ferry 14th December.